light in weight and easy to carry all day long. 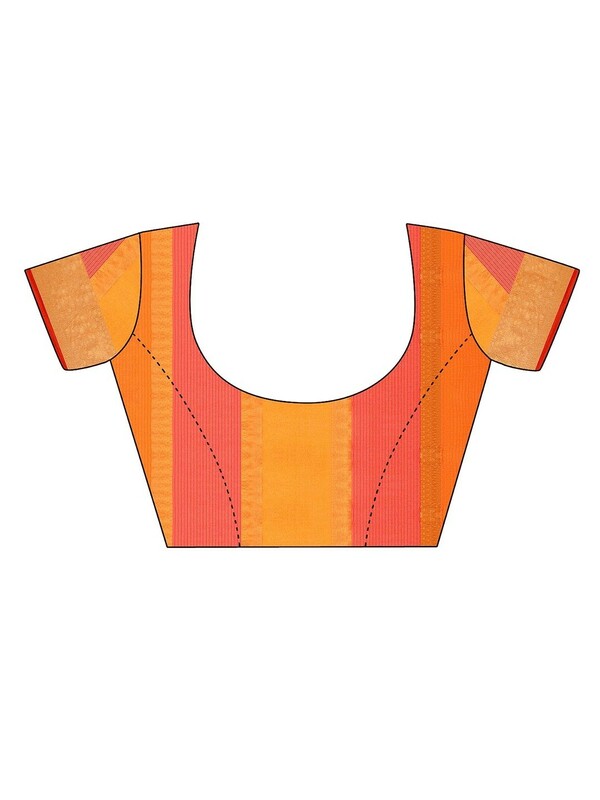 It comes with a 0.80 m blouse piece. 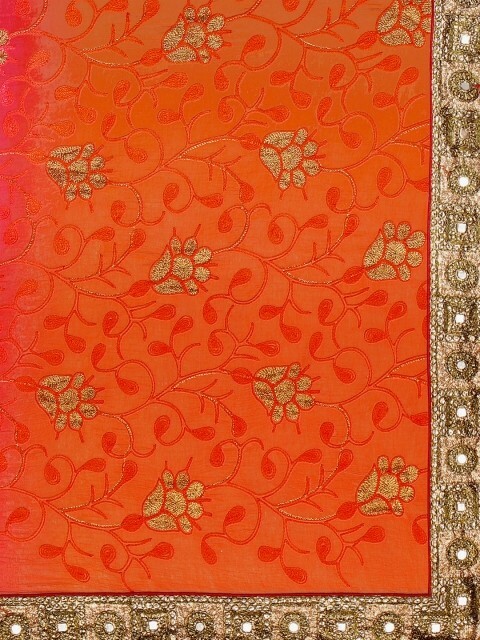 This sari is of orange and pink, in which the piece of a blouse is also together, and this sari has been done strictly and weaving work and this sari has a pallid lattice. Disclaimer : Product colour may slightly vary due to photographic lighting sources or your monitor settings. 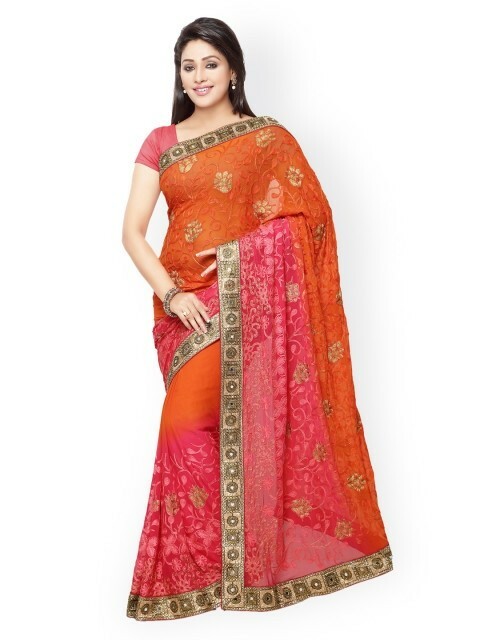 Saree fabric: chiffon blend Blouse fabric: dhupion Shopsyour Guarantee : Shop with confidence as all payments are 100% secure.